Prime land: The recently purchased Sydney property has a net lettable area of about 60,000 sq ft (5,436 sq m) with three retail floors and 10 upper levels of office space and a basement parking for 16 cars. IGB bought the building from a Charter Hall Group fund. Savills brokered the deal. 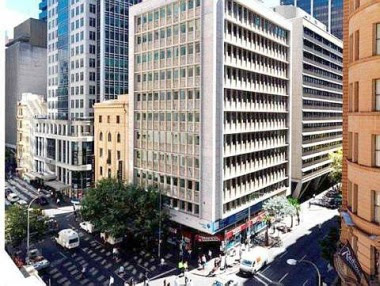 IGB Corp Bhd has submitted plans to the Australian authorities to convert a recently purchased office building into a three to four-star St Giles hotel. Executive director Tan Boon Lee says the purchase of 34, Hunter Street in Sydney, Australia will be its eighth hotel under the St Giles brand. It was purchased at a price of A$36mil and will be given a A$20mil makeover. “If we can get an average room rate of A$180 to A$200 for the 250-odd rooms, we would be able to get our money back in seven to eight years, which is normal period of investment,” he said. It is expected to be ready in two and-a-half years. The real estate developer, with interest in hotels and malls has two St Giles hotels each in London, New York and Makati, the Philippines and is building a seventh in Penang. IGB Corp Bhd, through its associate company St Giles Hotels, bought two hotels in New York City for US$78mil (RM2.55mil) from Starwood Hotels & Resorts Worldwide Inc in June last year to grow its St Giles brand. The hotels, located in midtown Manhattan, were previously operated by Starwood under the W brand. Among the group's other brands are the MiCasa and Cititel chains. “We would like our investments in hotels, offices and retail to contribute a third each to our property investment portfolio,” Tan says. IGB achieved a net profit of RM174mil for financial year 2010, representing a 10% jump from its RM159 mil net profit in financial year 2009. This expansion in its bottom line was mainly due to improved results from property development and property investment as well as management divisions. The property investment and management divisions contributed 59.2% to IGB's RM719.4mil revenue for the 2010 financial year. Its hotel and property development segments contributed 28% and 10% respectively. “Property development is the icing on the cake. When times are good, we will do more. When times are bad, we will acquire land. We have always liked KL,” Tan says. IGB has its base in Ipoh. It was founded in the early 1960s by two brothers - the late Datuk Tan Kim Yeow and Datuk Tan Chin Nam. IGB's forerunner, Ipoh Garden Sdn Bhd was named after its maiden Ipoh project. It has since transformed itself from being a mere developer into a mega asset-based company involved in various facades of real estate development here and overseas. On the purchase of 34 Hunter Street, Sydney, Tan said the group would like to develop “the kangaroo route from Britain to Australia. “Once we have developed the hotel business along that route with Malaysia being the mid-way point, we can talk about (tourism) packages with the airlines. This will help us to promote our hotels from London to Australia,” he says. IGB is no stranger to Australia. Among its most priced Australian asset at one time was the Queen Victoria Building (QVB) which IGB restored more than 20 years ago. That property later went to Singapore Government's Investment Corp (GIC) when it bought Ipoh Ltd of Australia. QVB was Ipoh Ltd's core asset. The recently purchased Sydney property has a net lettable area of about 60,000 sq ft (5,436 sq m) with three retail floors and 10 upper levels of office space and a basement parking for 16 cars. Tan says they will retain the facade of the building but will retro-fit the inside and have between 240 and 270 rooms with windows to every room as it is a stand-alone building located at the corner of Hunter Street and Pitt Street. It is three to four blocks away from the Sydney Opera House and is located mid-way between the Sydney Opera House and the Queen Victoria Building. “Location wise, it is very strategic. In terms of timing, the local government there is trying to revive the city's night life. Over the last four years, there has been hardly any hotel so ours will be the only one,” says Tan. He says there are several hotels in the vicinity. This includes the InterContinental Sydney, owned by Mulpha International Bhd, Grace Hotel owned by the Low Yat group, the Grand Hyatt at The Rocks, Radisson and Four Seasons. On the group's strategy in today's challenging times, Tan says there are plans to acquire other assets, in order to expand its hotel operations and business. “Our first preference will be hotels. A lot of funds are selling so it is a good time to accumulate assets. If the site is big enough, then we would like to do a mixed development but for that to happen, it has to be about half or three-quarters the size of the Mid-Valley site (which is about 20 ha). “Mid-Valley took us 15 years. It is not possible to find a piece of land this size in places like London or Sydney but it may be possible in China. Whatever we do, it must be near a local transportation hub,” Tan says. PETALING JAYA: UOA Development Bhd saw its net profit for the second quarter ended June 30 grew to RM60mil, which represented an increase of 44.6% from the RM42mil recorded in the preceding quarter. The property development company had earlier told Bursa Malaysia that its revenue in the quarter had grown 18.9% quarter-on-quarter to RM173.33mil. Residential segment contributed most to the company's total revenue during the quarter in review at 59%, or approximately RM101mil, compared with the 25% contribution (or approximately RM36mil) in the first quarter. “This is in line with UOA's increasing focus to meet the growing demand for residential properties in the Klang Valley,” the company said in a statement. Going forward, UOA would continue to actively address the growing demand for commercial and residential properties with the development of its land bank that constituted a saleable area of over 1.4 million sq m, including its flagship project, Bangsar South, and other upcoming developments in key locations such as Taman Desa, Sri Petaling, Segambut and Glenmarie that would form a basis for its growth over the next five to seven years. The company said it would capitalise on its strong balance sheet and continue scouting strategic development lands, while maintaining a focus on strategic locations within the Greater Kuala Lumpur. TTDI-LDP interchange: It is baffling why the soon to-be-built MRT alignment does not feature in this part of urban development. Several developments, of considerable scale, will be emerging fairly soon along the Lebuhraya Damansara-Puchong. Some of these developments will be completed in four years, while others will have a longer gestation period. Four of these projects are being developed by Subang-based developer Empire group. The four pieces of land were purchased from MK Land, who developed Damansara Perdana. What is visible as one drives along the LDP today is the on-going construction of Empire City on the side of Taman Tun Dr Ismail, Kuala Lumpur. This 23-acre development comprises several high-rise office blocks, serviced apartment blocks, a hotel and a retail area spanning a major portion of the 23 acres and a massive car-park beneath. It is sandwiched between the LDP and tracts of Malay reserved land. Empire City is scheduled to be completed by 2015 and will have about 10 access roads or viaducts leading to and away from. In Damansara Perdana, on the other side of the LDP, the group has three more pieces of land. Empire Damansara, another mixed development comprising several office blocks, is located next to Metropolitan Square. This is on the outer fringes of Damansara Perdana which sits next to the thriving Kota Damansara township . The LDP, in other words, besides being a highway, also serves as a sort of border and runs fairly close to the delineation between Kuala Lumpur and Petaling Jaya. Empire Residence, a high-end gated and guarded development on 19.2ha of land inside Damansara Perdana itself, is being developed together with MK Land in a joint venture. This project will house 750 three-storey units instead of the 3,353 condominium units originally planned. The Empire group's fourth project is located near the Penchala Toll near MK Land's Flora Damansara. According to an agent marketing one of its projects, the developer plans to fill up a natural lake located on this piece of land. A tertiary development or a resort-like development is being planned. Plans are still hazy. While the Empire group has set its sights to develop on this side of town, two other developers are also planning their projects further along the LDP heading towards Sri Damansara. Land & General Bhd (L&G) will be stepping up development of its high-rise condominium projects on 42 acres in the Sri Damansara township. This is expected to be launched towards the end of2011. It is currently known as Meranti and will be built over four phases. About 2,800 units of condominium are being planned. In Sri Damansara, TA Global will also be offering Damansara Avenue, a 48-acre project comprising several apartment and office blocks, and commercial developments. It is estimated that this will take 10 years tocomplete. There are about four to five blocks of serviced apartments and an equal number of high-rise office blocks. All these projects will add to the population located along this stretch of the LDP. The majority of the roads accessing these projects, or leading away from these projects, will feed into the LDP. Some will be via the Sg Buloh road. It does seem a scarry propostion for the LDP! One can't help but wonder how the LDP is going to cope with the sure growth in traffic along this short stretch divided by the Penchala toll. As it is, the LDP is terribly congested during peak hours and these develpments are bound to make things worse. What will it be like in the next couple of years when these projects are ready to host their tenants and owners? It is also baffling why the soon to-be-built My Rapid Transit (MRT) alignment does not feature in this part of urban development which lies between the PJ-KL border when so many projects have been approved and ear-marked for development. This takes us to the issue of town and urban planning. We cannot do away with development, modernisationand the pressing need for housing. All these are part and parcel of growth and progress. But, what the local authorities can do is to consider the pressure such massive projects will add to the road and transport system. Without an integrated public-transportation system, these projects may dilute the livability of the area they are piling their foundations in. Local authorities and transport planners cannot abdicate their roles as guardians and overseers of this community along that LDP stretch. When planning approvals arrive on their tables, they have to consider these new projects based on what is already existing there. The local authorities have to take into consideration the many condominium developments that are already there, in this case the Damansara Perdana location. They have to consider the limited access into Sri Damansara today and the effects of how two massive projects totalling 90 acres will affect that access. Assistant news editor Thean Lee Cheng wonders what travelling on the LDP will be like a few years from now. PROPERTY developer Ibraco Bhd, which came out of Practice Note 17 (PN17) status three months ago, is capitalising on the high take-up rate of the first two phases of its Tabuan Tranquility project here to launch the next phase of residential development. Group managing director Chew Chiaw Han said Tabuan Tranquility phase two, which would has more than 255 units of houses, would open for sale before end of this year. The units are made up of 163 terraced houses, 68 semi-detached homes and 24 detached houses with a gross development value (GDV) of more than RM150mil. Townhouses will also be built under Phase two but its number has yet to be determined. “Infrastructure work for phase two development is now underway,” he told StarBizWeek yesterday. Tabuan Tranquility, a massive commercial, industrial and residential development on 66ha along Kuching-Samarahan Expressway, was unveiled last year under Ibraco's regularisation scheme to take the company out of PN17. It is the single biggest mixed development ever undertaken by Ibraco, which has built more than 10,000 units of properties in the city over the years. Tabuan Tranquility, to be developed in five phases up to 2015, will have a total 640 units of double-storey terraced houses, 108 units of semi-detached houses, 60 units of three-storey townhouses, 76 units of four-storey shophouses, 72 units of semi-detached industrial buildings, one office block and a petrol service station. The entire project has a GDV of RM517mil. Ibraco was classified a PN17 company after its revenue for the financial year ended Dec 31, 2009 fell below 5% of its paid-up capital. It was uplifted from PN17 in late May 2011. Chew said all the 76 units of shophouses under phase one, priced between RM1mil and RM1.79mil each, had been sold. “For phase five residential scheme, 90% of the units have been sold,” he added. Phase five comprising 204 terraced houses and 38 semi-detached houses is due for completion in November-2012. Chew said Ibraco would launch a new residential project in Stutong here next month. The project will have 67 units of terraced houses and four units of semi-detached houses with a GDV of 15mil. On Ibraco's plan to venture into mixed property development projects in Bintulu or Miri, he said the company was still working on the proposal. The company has earlier identified the land and might carry out the proposed development in joint-venture with the landowner concerned. To diversify, Chew said Ibraco was studying proposals to go into construction business, both infrastructure and civil building works, for the private and public sectors. For the quarter ended June 30, 2011, Ibraco posted a pre-tax profit of RM3.75mil on a turnover of RM28.5mil as compared with loss of RM798,000 on revenue of RM676,000 in the same period last year. In an explanatory note, Ibraco said the group's revenue increased to RM28.5mil against RM19.4mil in the quarter ended March 31, 2011 when revenue came from both sales of inventories and Tabuan Tranquility project. Chew said for the financial year ending Dec 31, 2011,the group was confident of achieving its projected nett profit of RM12mil. The lucrative investments in overseas properties have seen many local developers venture beyond our Malaysian shores. Singapore and emerging countries such as Vietnam, being closer to home, are popular destinations. Further away are India, China, Oman, Pakistan and now gaining popularity are United Kingdom, Melbourne and Sydney in Australia and even as far as Canada. Well-known local developers such as Sime Darby, SP Setia, YTL, IOI Properties, Genting, Sunway, and Selangor Dredging Bhd (SDB) among others have set foot on these foreign lands and hitherto their investments have proven to be promising. YTL Corp is noted as the most robust player in its international branding mission with several committed projects in the pipeline including a mega development in Koh Samui, Thailand, a holiday destination in Hokkaido, Japan and several hotels in Shanghai, China and Saint-Tropez, France. Despite the recent global financial crisis, property prices in most cities have recovered, thus, stimulating demand. To date, the total investment of Malaysian developers in Singapore is estimated to exceed RM28bil. The recent alliance between Khazanah Nasional and Temasek Holdings resulting from the land swap deal and the relocation of the Tanjong Pagar Railway Station is anticipated to generate significant returns to UEM Land. The integrated developments in four land parcels in Marina South and two land parcels in Ophir Rochor are expected to generate a gross development value of S$11bil (RM27bil). Sailing on a different business model, Sime Darby owns several office buildings in central Singapore. With gross rental rate for prime office space in Singapore ranging between RM25 psf to RM30 psf, net yield is estimated at between 4% and 5%. Meanwhile, the positive real estate outlook in Melbourne, touted as the fastest growing city in Australia is buoyed by inter alia investor-friendly property ownership regulations. Annually, the population in Melbourne rises by 90,000 with the current population standing at 4 million. It is learnt that to cope with the apparent shortfalls in residential supply, Melbourne requires 35,000 new dwelling units per year. However, only 26,500 units are being completed annually, suggesting a gap of 8,500 units yearly. High-end condominiums are the most popular property type by Malaysian developers investing abroad. They give the fastest turnaround and are easy-to-sell projects and will create profitable returns. This is evident by several new high-end condominiums being planned, including Fulton Lane and Dynasty Living in Melbourne by SP Setia and Magna Prima and Sentosa Seaview, and OKIO Residence in Singapore by IOI Properties and SDB. The most recent launches are Burwood Rise and Burwood View, 20 minutes from Melbourne's central business district by Malaysian Resources Corp Bhd. Prices are definitely higher in these cities compared to Malaysia. A high-end condominium unit in Singapore has an average selling price of S$2,700 psf (RM6,600 psf). Meanwhile, a high-end condominium in Melbourne is priced between A$650 psf (RM2,000 psf) to A$850 psf (RM2,650 psf). These prices are drastically higher than the Malaysian average of RM1,200 psf. In the meantime, demand for rental has softened particularly in Singapore due to stricter criteria for foreigners working in Singapore and shrinking housing allowances for expatriates. Increased supply from newly completed residential homes has also added downward pressure on rental. OKIO Residence by SDB near Balestier Road in central Singapore is projecting a typical 5% yield with rental rates from S$3,000 to S$3,600 per month. Buying activities remain bullish with take-up rates of at least 60% upon launching. Sunrise, a subsidiary under UEM Land, marked the fastest sales performance, whereby 90% of the condominium units in Quintet, outside downtown Vancouver was snapped up in less than one week. Dynasty Living and Fulton Lane, both launched early this year, have to date registered 62% and 70% sales respectively. Projects with a larger proportion of smaller units saw higher take-up rates as these units seem to be more affordable. These projects draw a balanced mix between owner-occupier and investors. Singapore, Malaysia, Indonesia, China and Hong Kong are noted to be the most active destination for investors diversifying their assets overseas. Moving forward, more local developers are expected to go abroad to enable the companies to achieve their aspired visions. Expanding businesses abroad will generate higher annual growth and, subsequently, establish stronger presence of Malaysian developers in the international arena. Nonetheless, careful consideration, researching and evaluating risks are among the prerequisites before extending the regional reach. The recent economic problems in the United States would have implications on the financial markets and economies around the globe. The weak US GDP numbers, the Japanese supply-chain disruptions from the March 11 earthquake, financial market jitters over Europe's debt crisis, slower pace of Malaysia's economy with 4.0% GDP reported in the second quarter of 2011 from 4.9% in the first quarter and the weakening of export numbers from the manufacturing sector due to weaker external environments are some of the pertinent yardstick in determining the global endeavour. Senator Datuk Abdul Rahim Rahman is the executive chairman of Rahim & Co group of companies. Kuala Lumpur: Conglomerate Sime Darby Bhd has agreed to buy 30 per cent of Eastern & Oriental Bhd (E&O), a developer with large projects on Penang island, sources said. Sime will buy the shares from two parties, believed to be GK Goh Holdings Ltd and Puan Sri Nik Anida Nik Manshor, the wife of Tan Sri Wan Azmi Wan Hamzah. Based on the latest Bursa Malaysia filings, Nik Anida has an indirect stake of 11.86 per cent while GK Goh Holdings Ltd holds another 11.23 per cent. Sources said E&O will also issue new shares to Sime. In total, Sime is expected to own 30 per cent of the property developer. "It is unsure how much the deal is worth. But rumour was that Sime wanted to buy at more than RM2, but the sellers then were not willing to sell. With the current global economic landscape, they may have changed their minds," said a source. The deal will allow Sime to recognise part of E&O's earnings, but more importantly, it gives Sime the opportunity to take part in the much talked-about Seri Tanjung Pinang 2 project. That project involves reclaiming 740 acres of land in Tanjung Tokong to develop two islands for mixed development projects. The project has an estimated gross development value (GDV) of RM12 billion. Yesterday, trading in E&O and GK Goh Holdings Ltd shares were suspended. However, Sime shares were not halted. Shares of E&O rose 1.4 per cent on Thursday to RM1.45. Over the past 30 days, its shares closed at a high of RM1.70 and a low of RM1.38. On average, it was traded at RM1.38, with a volume of 10.6 million shares daily. Sime stocks ended unchanged at RM8.80. Since May, major shareholders of E&O have been accumulating the stock. During the period, Nik Anida has expanded her indirect stake to 11.86 per cent from 9.09 per cent. AmBank group chairman Tan Sri Azman Hashim had also been on a shopping spree during the period. He raised his stake to 6.25 per cent from 5.1 per cent. Sime Darby buying 30% stake in Eastern & Oriental? PETALING JAYA: Trading in the securities of Eastern & Oriental Bhd (E&O) has been suspended since Friday, pending a material announcement. Shares of the property development company was last traded at RM1.45 on Thursday, which was two sen higher from the previous day. Rumours were rife that conglomerate Sime Darby Bhd would be acquiring a 30% stake in the company from Singapore-listed G K Goh Ltd.
At press time, no announcement has been issued. Trading in G K Goh had also been suspended pending an announcement. E&O has several projects, the largest of which is the 980-acre seafront development Seri Tanjung Pinang in Penang. It also has pockets of land in Jalan Kia Peng and Jalan Yap Kwan Seng in Kuala Lumpur and 365 acres at Gertak Sanggul in Penang plus bungalow lots in Damansara Heights.